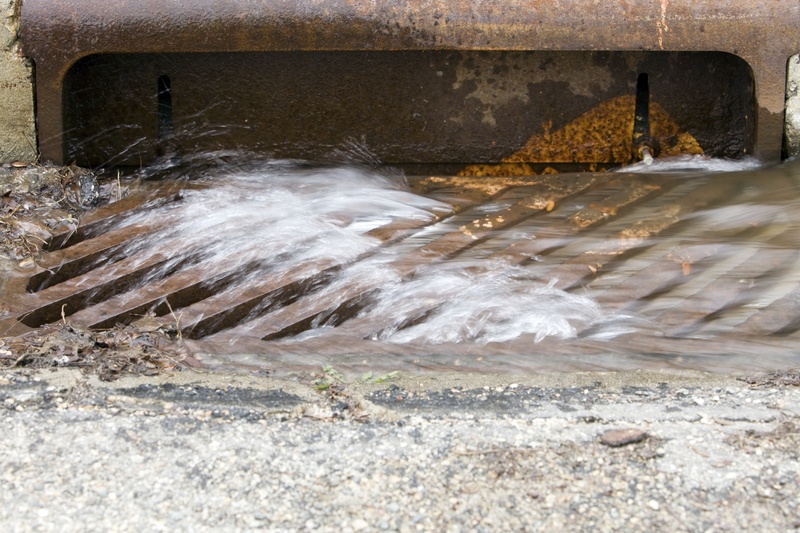 With the sprawling growth of Atlanta, another water problem has surfaced, storm water pollution. As a matter of fact, the EPA says that across America, storm water pollution is the number one pollution threat to our waterways. Every time it rains the water flows down the roofs oof businesses and homes, across parking lots, through developments and down driveways until it eventually runs into storm drains. On its way to the storm drain it picks up everything that flows with it including soil sediment, oil, gasoline, cigarette butts, plastic bottles and all kinds of trash and industrial contaminants. Not only is the water polluted by the contaminants that it picks up, but also the volume is much greater than these creeks and rivers were designed to handle which creates floods in areas that were out of the 100 and 500 year flood plain maps. Everybody lives down stream especially in the state of Georgia and somebody ends up drinking this water. The solution to this problem is water awareness. The Atlanta region has all of the water that it can ever have. Our society has grown accustomed to expecting clean water to come out of the faucet every time we turn it on without considering the true costs. We need to conserve the water we have and start investing in rainwater harvesting using rain barrels and rain tanks to help make up the difference. How can rain barrels and rain tanks help? One 60 gallon rain barrel strategically placed on a residence or business can divert over thousands of gallons annually from storm sewer systems helping to save the integrity of stream and rivers. Rain Tanks on the other hand start out at 500 gallons and can go up to 100,000 gallons. This water can be used for almost any non-potable uses and can even be treated for drinking purposes.